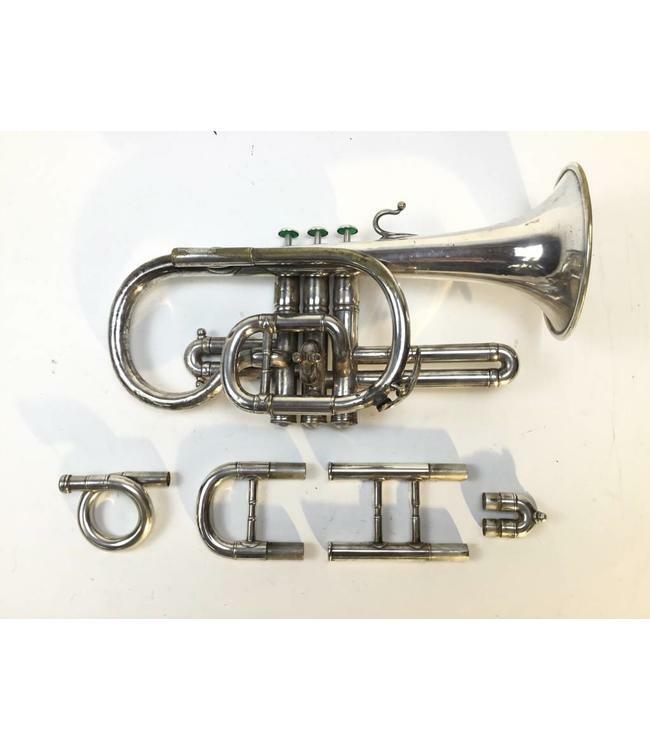 Used F. Besson Brevetee Bb Cornet in silver plate, circa 1890's. Instrument is in good condition for age with plating wear on leadpipe and contact points, patch under bell at contact point, and dings throughout. Engraving on bell: 92 Rue D'Angouleme, Paris and Star below. Includes original case, 4 tuning bits, 1 pigtail, 2 tuning slide, main tuning slide extender and additional 2nd valve slide. Sold as is.